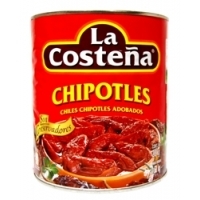 Canned chili / chiles, canned green chiles and canned chili sauce. 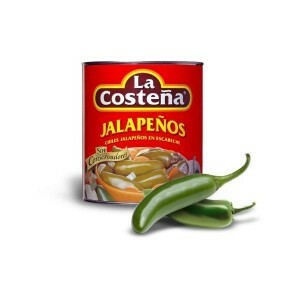 Chile pepper and Mexican chilies are spicy in taste and also super healthy and packed full of vitamins. 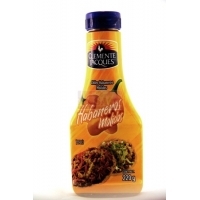 With us you can buy different kinds of chili pepper. 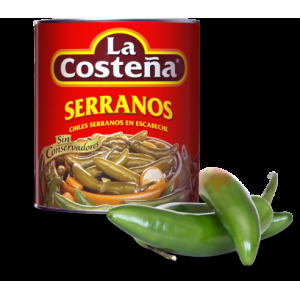 In our wide range of Jalapeño Peppers, Serrano peppers and Poblano peppers in different variations, you will find the chili pepper to your dish is ready. 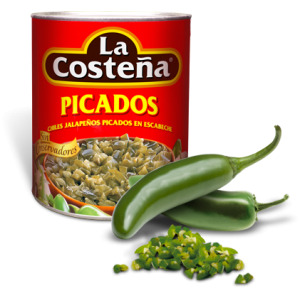 Chile peppers are not only the condiment of choice but are super healthy. They are packed with antioxidants, carotene, flavonoids, and they contain twice as much vitamin C as an orange. 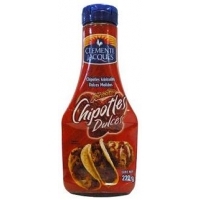 It helps with weight loss, regulates blood sugar levels, inhibits the conversion of calories into fat, inhibits the growth of cancer cells, lowered cholesterol, it is a natural pain reliever, increased resistance, open a clogged nose and sinuses, lowered blood pressure and prevents stomach ulcers. 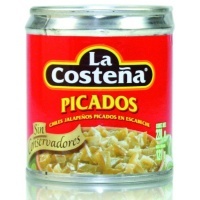 In addition, it is good for the immune system and red blood cells. 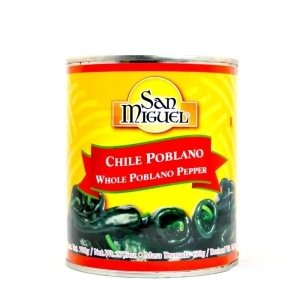 Chili Poblanos for preparing of soups, stews or for preparing the sepcialiteit of the city of Puebla Rellenos! 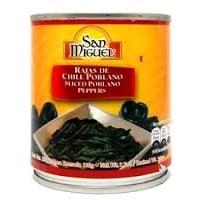 Canned sliced chili poblanos. 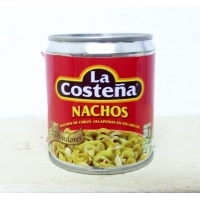 They are perfect for making poblano rajas, arroz poblano, poblano cream and many other delicious Mexican dishes. 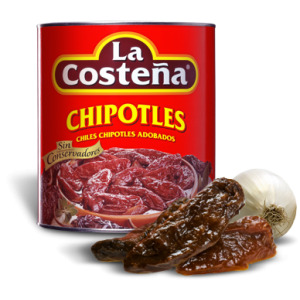 La Costeña Chipotle peppers marinated the adobo sauce give these adobado chipotles a very unique and delicious flavor. Now in a big 2,8 kg size.